I have to be honest here and state for the record, that I never liked this set. 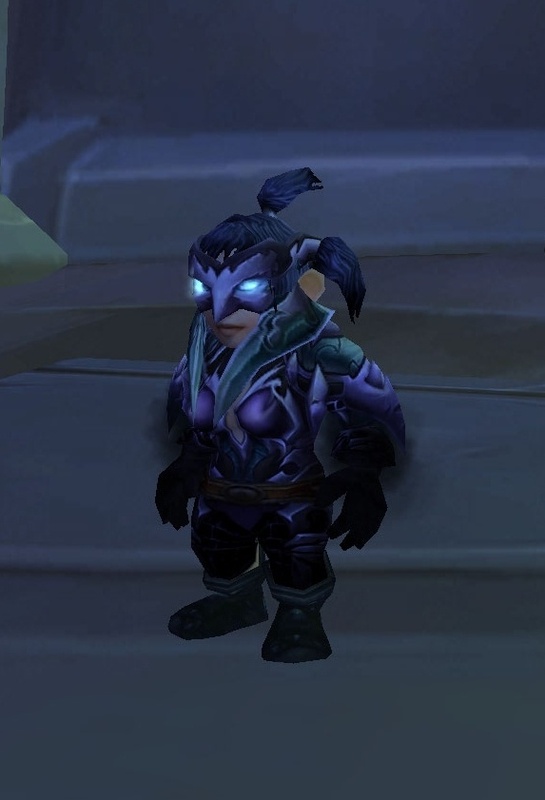 Rogues arguably have had some of the coolest tier sets released in game, but this is not one of them. It has the distinction of being the most “Pinocchio” vibe of any tier set in game and has caused more than a few snickers. So why is it on my list? Because while I did not care for it, others did and there is no denying that it was unique, earning it our #27 spot. This entry was posted on May 8, 2011 at 8:56 pm and is filed under General, MMO, Role Playing, World of Warcraft. You can follow any responses to this entry through the RSS 2.0 feed. You can leave a response, or trackback from your own site. I guarren-darn-tee you this would be sought after on RP servers, especially the mask, if we had a wardrobe feature. It reminds me of medieval Punch and Judy marionettes. Well said and i completely see your point now that you mention it!